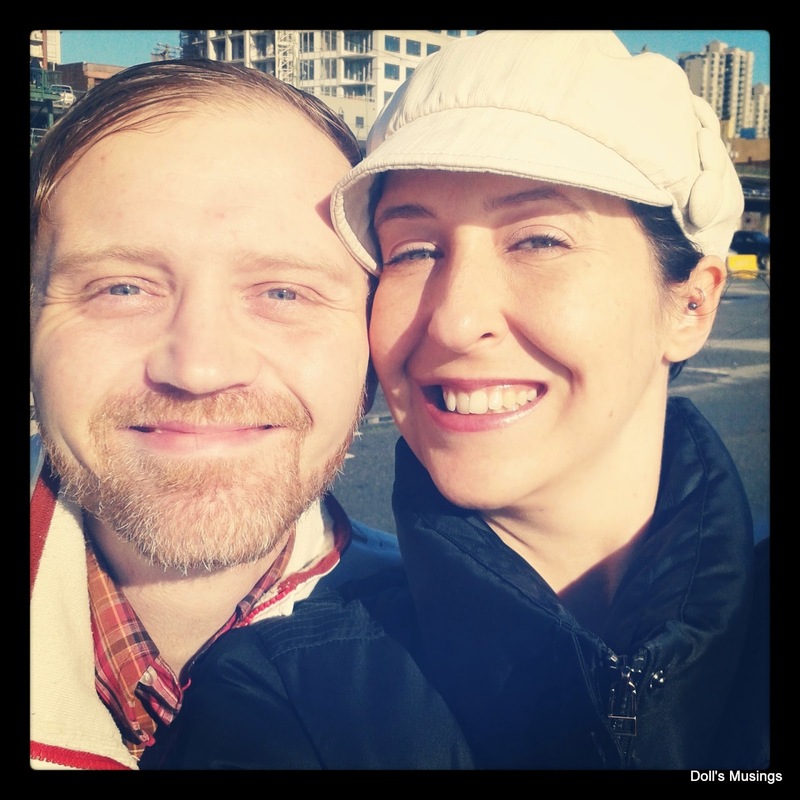 It's been too long since I've updated my blog and come by and said hello to you all. Life has been so busy as of late and it will only get busier. So I have to pause this morning and write an update on me, stitching and a wee little giveaway I want to throw at the end of this post. Work hasn't wound down. School life never does and with all my meetings morning, noon and afternoons, it feels like my life force is being sucked dry. The kids are great of course, even though I'm training them on how to walk down the hall to the learning assistance center ready to learn, and not all kooky and hyped up. So these past few weeks it's been about training, self-regulation...getting ready to learn is my mantra! Report card writing will be needing to happen soon and all of us teachers are counting down till Christmas break. Stitching has taken a bit of a back seat as of late because of school but I have done some stitching. I finished a sweet little design that I need to put together for a friend and mail off. Can't show it yet though till she gets it. I'm already thinking of stitching Christmas gifts, like all of us are, and am woefully behind! The other day, dear Annette sent me the sweetest little package. She knew I didn't have the JCS magazine yet, although I do now, and sent me the linen, threads and some fabric for that adorable LHN ornament. Thank you my dear! It really made my day! You have to see her adorable finish. I want to finish mine like that and she even gave me some of the fabric she used! I finished mine but on 40 ct linen. I'm going to stitch it again on the linen she gave to me and then give one of them away. I did use a different red though. Nina's Chilli Pepper because I just wanted to use a Nina thread. The other one will use Annette's red. This design just makes me smile. I made some progress on my samplers and believe it or not, Tea Bath Fairy. Didn't take a photo of TBF though since it doesn't look like much has changed. Just filling in with that pesky kreinik. Wow that photo is bleak. Anyways, just filling in the border. Thinking about taking a break from that border and stitching the massive vase that's above the bird's head. But then again, I might have to take a break from sampler stitching and get going on Christmas stuff. I did buy some charts with my JCS magazine but why, I don't know. I'll never have the time to stitch all the things I want to stitch...but the charts just begged to be bought! More BBD charts. I love BBD and their Beatles series are amazing. 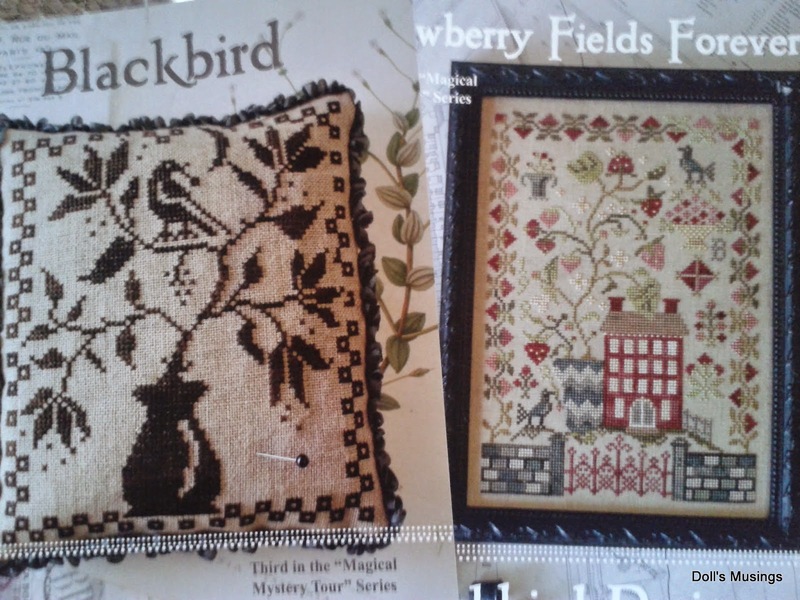 I adore strawberry fields forever and I can see that Blackbird would be a great RAK gift to someone in the future. Next up is my progress on the Bitterest Flower. I can foresee this moving along a lot faster once I get going on this. Titus seems to enjoy this design a lot. He really likes to embed his fluff into everything I own. The other day while I was in the principal's office, no I wasn't in trouble, I was talking and moving my hands around, as I do, and I saw fluff flying everywhere! I felt so bad adding Titus fluff into his office since he has allergies. As for my Sheep Sal with Sarah, Lija and Kaye, I made minimal progress on Kindness. 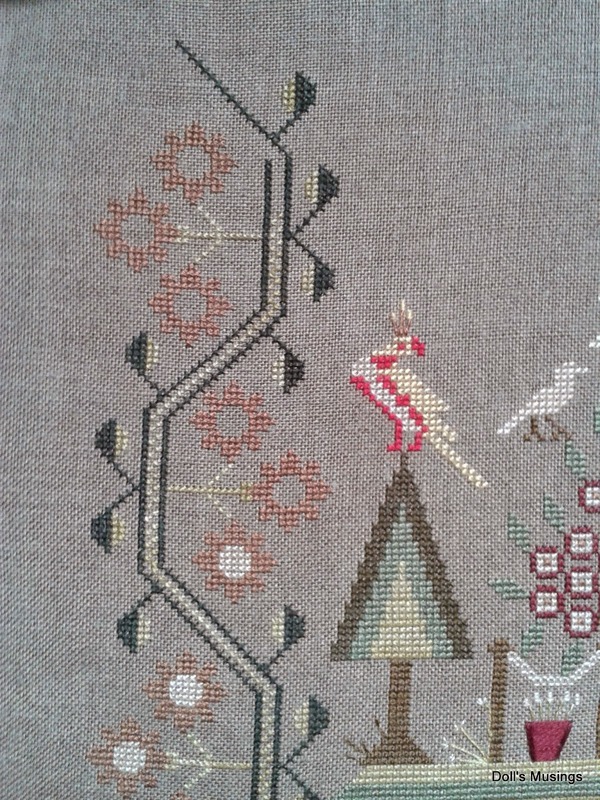 The border is taking a really long time stitching up. If you've made it this far, congrats!! I really want to give back to my friends and would like to giveaway a $25 gift certificate from 123stitch. All I ask is you enter your name stating you are interested and I will do the draw at the end of this month on November 30th. I would have stitched something but I really lack the time and oomph to get it together to do that this year. I will also be announcing some fabulous news in the next little while so please stay tuned!!! 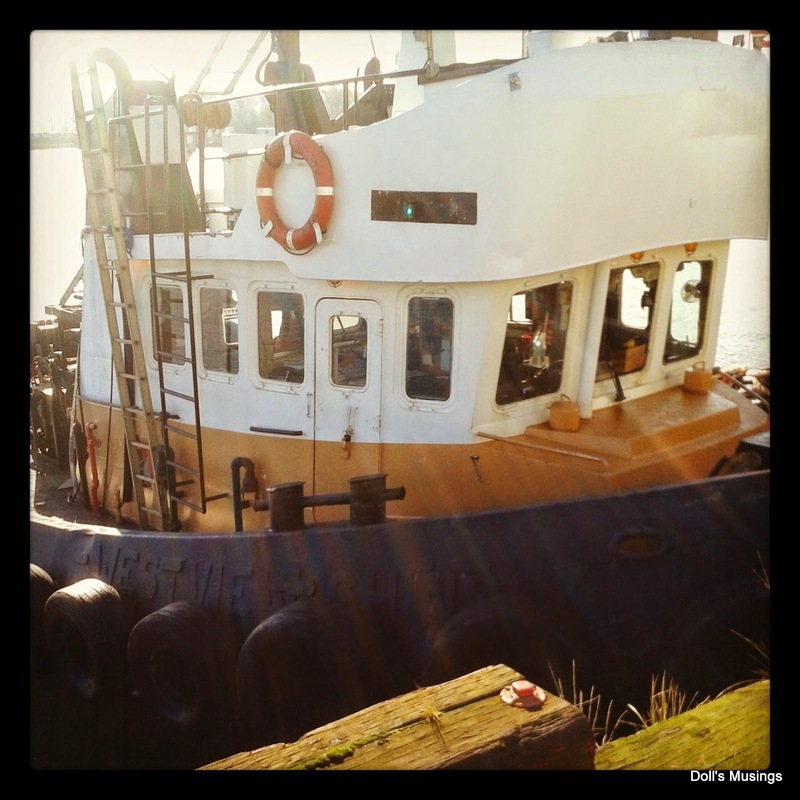 I'll leave you with some photos we took on a rare sunny day. Hugs to you all....I'm sorry for not commenting, I will try but I'm off to the island this weekend and the next few are report card time. Maybe that will be a good time to procrastinate and do some blog hopping...ehhehehee. Lovely post, Anne. It sounds like life is very hectic for you these days.hope school doesn't consume you too much. Enjoy yourself when you can. That's a very generous give away thank you, i'd love to be included. Count me in for the giveaway! Lovely to see you making a rare post but all the pictures make it worth the wait. I do like that LHN design and it is on my ever-growing list! I like your thinking about buying charts - that will make a nice giveaway! I think with designers going out of business at the current rate we need to stockpile their charts because you never know who is next and by buying a chart you could delay the process. As for teaching children to line up nicely and move quietly about the school, that is one of the most valuable lessons that my younger son learned in mainstream school last year - when people line up they are generally going somewhere interesting. For a child who does not like change this is a great lesson to learn and makes school life so much easier. Oh......... WOW!! O love all your wonderful photo's in this post. I am very much a colour person and love anything with colour in it. 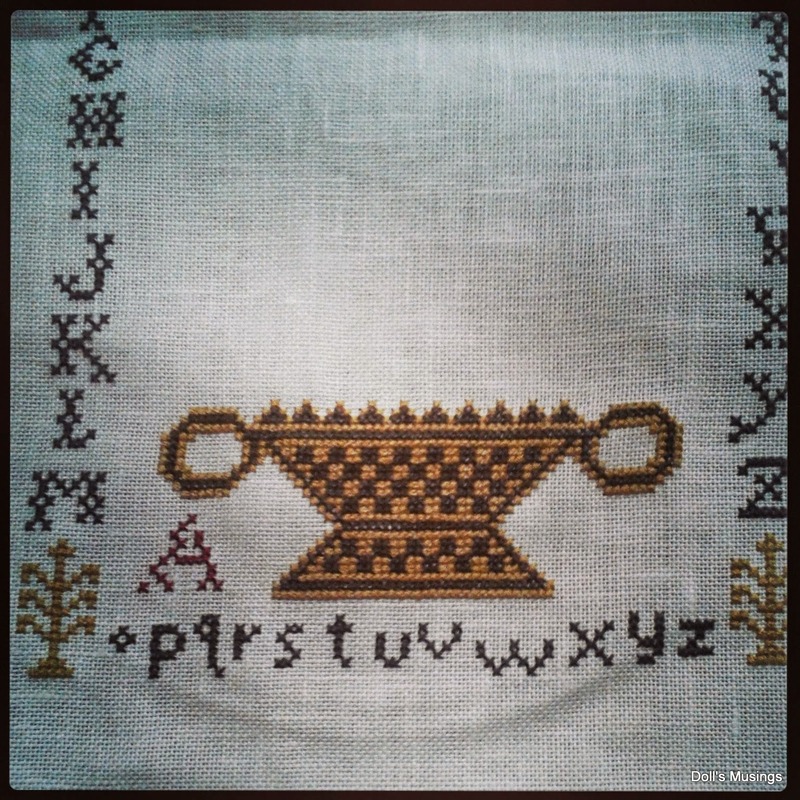 Your sampler looks really pretty, the colours are wonderful. So intricate too. Oh I really like the new charts to your collection... BBD charts are lovely.. I have never seen this Beatles Series.. LOVE the Strawberry Fields Forever design.. I seem to have a thing for strawberries at the moment! Oh another great design your stitching.. Bitterest Flower.. cannot wait to see your progress on this and what the flowers look like too. Oh yes please could I be included in your very kind giveaway. 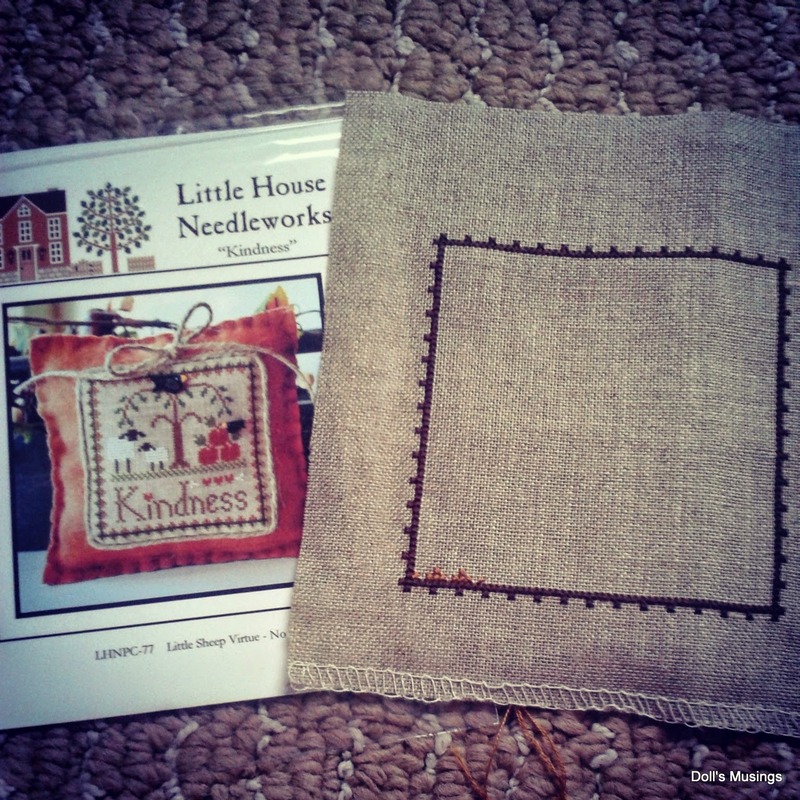 Lovely post, love all your stitching and the new charts you brought. Also love your header . Would love to join in your giveaway so kind of you. ooOoo! You have great projects going on Anne. I truly enjoy your pictures. Love seeing more of each others' worlds. Please include me in your wonderful drawing! Good luck with the report cards. Can't wait for your news . Love your new charts, gotta love that Strawberry Fields design. I would love to be included in your draw please, long time follower here! Love all your stitching! Sorry you've been so busy at school. Hope you aren't going nuts! Looking forward to hearing your good news! Love your updates! I am neglecting my blog too, just not in the mood to blog ha ha! 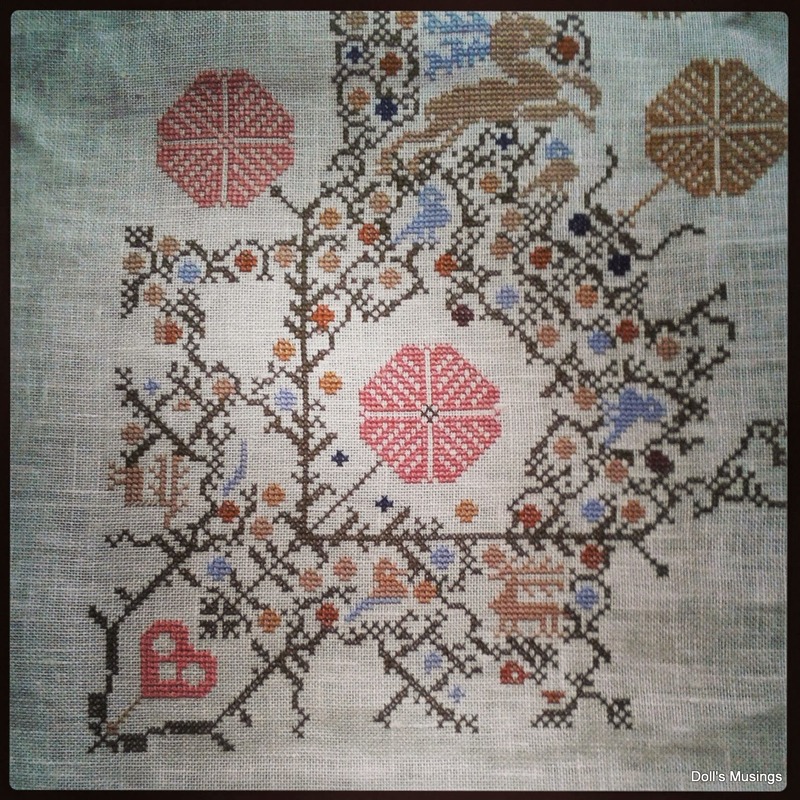 Love your stitching progresses and the new BBD designs! Put my name in the hat for your giveaway, thank you for the chance! Really excited to hear what your news is! :) Hope you manage to get some time for yourself and get some stitching done - enjoy your break this weekend. Good luck for all those reports you have to write! Lovely update Anne. Your stitching is gorgeous. Awesome gift from Annette. I would love to be entered in your giveaway. I can understand why you are having trouble getting a lot done. When I taught, I did not blog. My teaching was before blog time. But i know I would have had trouble getting it done. I would love to be in the drawing. What a generous gift. Hope the week-end is lots of fun! Anne, you sound like a wonderful teacher!! How nice of Annette to send you a gift. Your finish is so sweet! The new charts look fun. 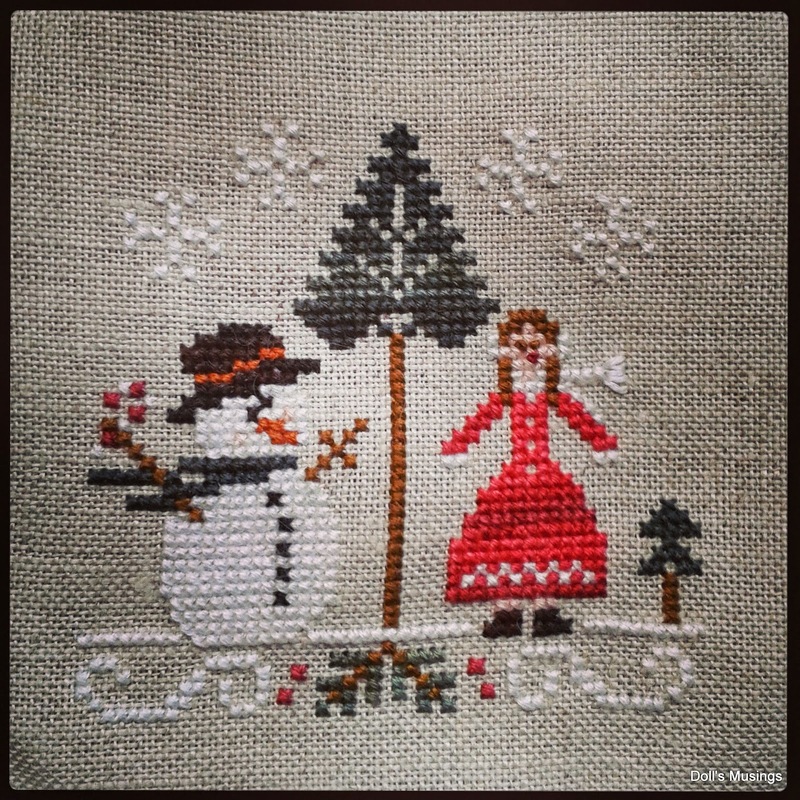 Maybe you'll have extra time to stitch during the holidays?? What a fun giveaway, too! I'd love to enter!! I am stitching the LHN ornament from JCS right now, it's adorable and so much fun! What a lovely post from you! Beautiful stitching you've managed to get done. I love your pretty ornament with Nina's very pretty thread. I too got Strawberry Fields! It's so pretty. Glad to read all is well at school,if very busy. 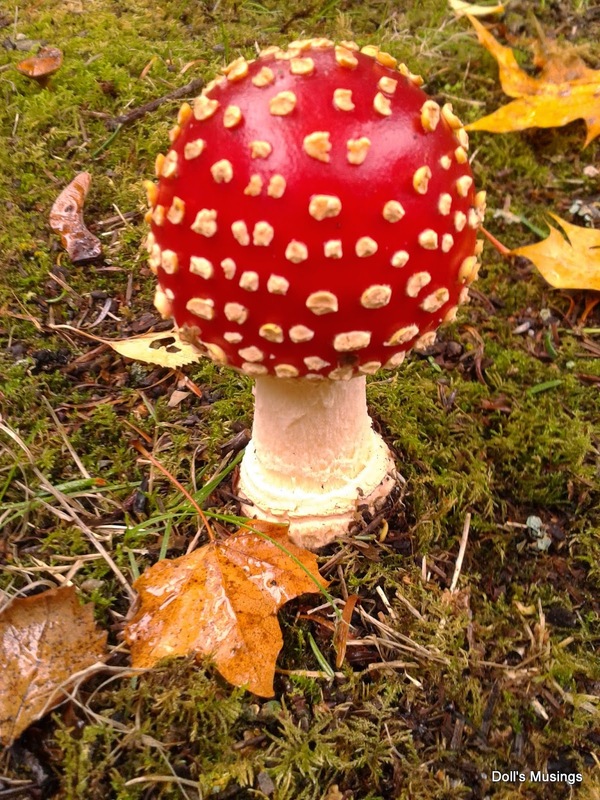 Lovely stitching photos and that toadstool is awesome!! So good to hear from you. Love hearing from my stitchy friends in other parts of the world. Would love a chance to win. Stay in touch! I always think I'm the only one w/ fur flying off me when I go out in public - nice to know I'm not alone, although, mine is puppy fur! Please include me in your generous drawing & thank you for the opportunity. You don't need a -reason- to buy stash, stash just presents itself and it's an uncontrollable impulse. Strawberry Fields is gonna be cute; I love the gate. :D It's nice that Tea Bath Bro is getting filled in. You'll conquer the Kreinik yet. Love the toadstool! Thanks for the wonderful giveaway, and a god luck with the reports cards. School is busy for kids, so it is super busy for their teachers... who have to be prepared for anything and everything! I look forward to seeing the SECOND finish of the LHN ornament! What a really nice thing to receive from Annette! Any progress on your stitching is good! I struggle now too... Life has changed. We must adapt. I would love to be entered in your Giveaway... I have a wishlist! Hugs! Even in all the hustle and bustle of it all you've gotten some decent stitching in. Very nice pieces. Love y'all's selfie, so cute!!! Would love to join in your giveaway..so sweet ..
You've managed to make some good progress on your stitching even with all that's going on in your life. And stash enhancement is progress too! Plus it makes you feel good. 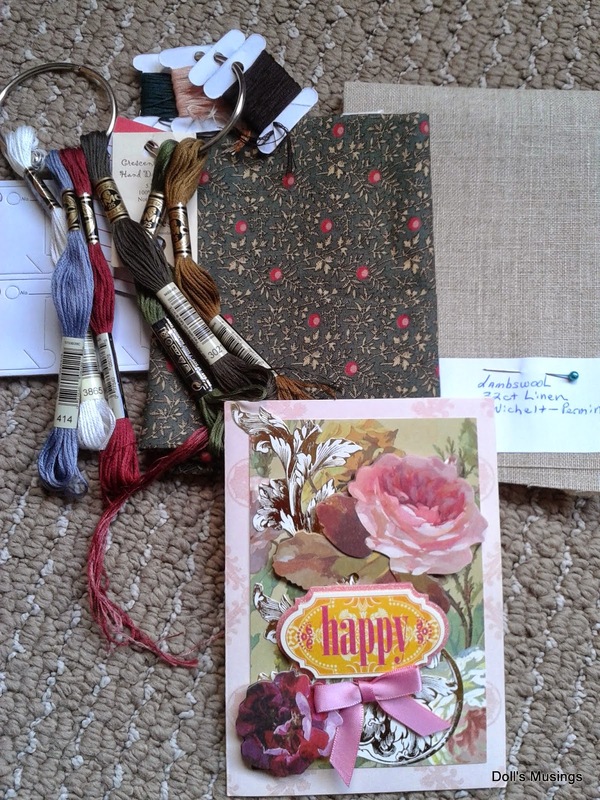 Annette is such a sweetie to send you the supplies and her finish is so cute. Have fun with it! Wonder what these great news can be... I could have an idea but rather stay quiet and wait to find out (in case I'm totally wrong :D). Anne ... it is always so good to hear about your teaching ... from one who is so caring and enthused about your young pupils. Lovely progress on your stitching and some wonderful stash too. A great selfie! You both look very happy. Please include me in your giveaway, it is so generous of you. Absolutely lovely stitching, and great new stash - it's good to catch up on your news. Beautiful stitching as always!!! 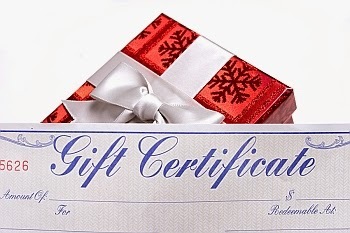 I would love to be entered in your contest giveaway to win the 123Stitch Gift Certificate!!! Great post, Anne! I am amazed how much you get done considering I know how busy you are. I can barely stitch once a month these days. =( Your projects look great! I would love a chance at your giveaway! Hope you have a good week and give Titus some pets for me. Good to see you back again :) Hope things settle for you at some point though it sounds like you will have your hands full for another while. Lots of lovely stitching there. 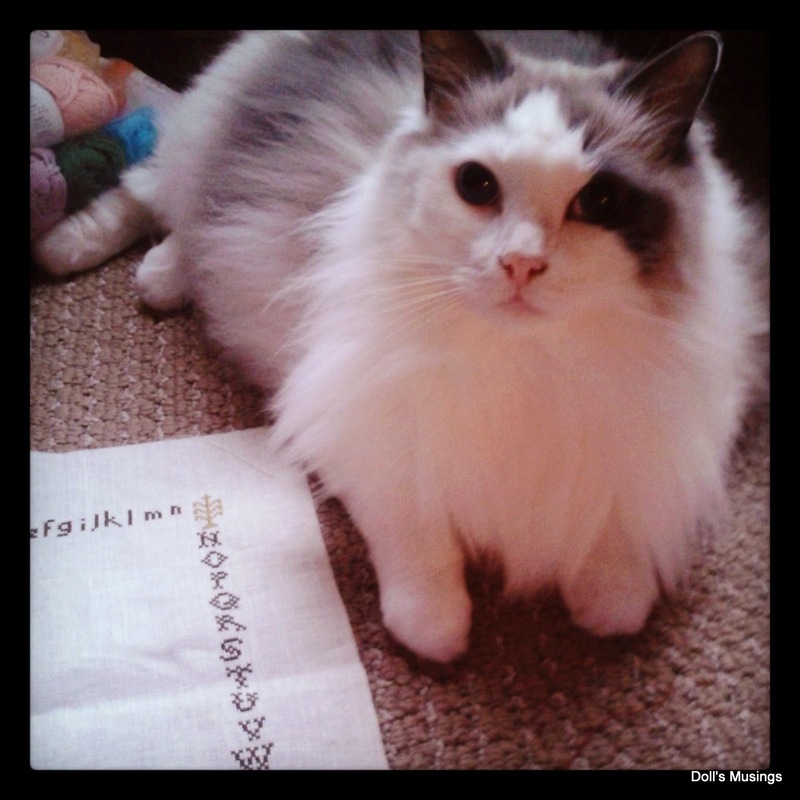 Hi Anne, love your blog and your pics of Titus- he's such a beautiful cat. I so understand your schedule! Working at the school and my boys' schedules have been keeping me busy too ~ love all of your stash! Here's to finding more stitchy time for both of us! Thanks for the chance at your give away! Oooh, I shouldn't jump to conclusions but I hope your fabulous news is something you mentioned on your blog a while back. Lots of beautiful stitching, and Titus is as handsome and gorgeous as ever. Nice stitching. I agree that sometimes you just have to get (several) charts. Also like your cat. Just recently we became cat owners again after a gap of several years. Mine is an orange tabby. I'd love to be in your giveaway! Great projects, love the BBD too) Thanks for the giveaway! Anne, what a great post I love all your projects you are working on. Titus looks like a great stitching companion. Please enter me in your drawing. Thank you kindly!! I'm a little late catching up on my blog reading, but thanks for keeping your giveaway open! Count me in! Please include me in your giveaway. I really love all of the stitching you do. I love the snowman and the basket on the bittersweet flower.